It's no surprise that more than half of marketers say email is their most effective channel in generating revenue (BtoB Magazine). Email marketing is indeed an incredibly effective way to communicate with your audience and facilitate the path through the sales and marketing funnel, turning strangers into delighted customers. And marketers are continuing to invest more in this channel - the Direct Marketing Association found that 75% of marketers say they are using more email than they were 3 years ago, and Forrester Research said that investment in email marketing is expected to grow from $1.3 billion in 2010 to $2 billion in 2014. The sad truth is that there is a lot of bad email marketing out there. What does it take to do good email marketing? Good email marketing is (1) valuable, (2) relevant (3) expected and (4) integrated. Good email starts with valuable content. Good email marketing starts with the content you're sharing with your subscribers. Put yourself in their shoes and ask, is this something I would want to receive? Remember that your prospects don't care about your company or your product - they care about their challenges and how you can help solve them. So create and share content that they'll find useful and interesting. Good email is relevant - which means segmentation is critical. Segmentation is the #1 tactic for increasing relevancy of your email, according to a MarketingSherpa study. Whether you're segmenting your database based on demographics or behavior or both, this tactic is critical to ensure you're sending the right message to the right person at the right time. Sending relevant emails wins you more mindshare as well as better results - MarketingSherpa found that segmented emails get 50% more clicks than their untargeted counterparts. Not only will you get more clicks, you'll also reach higher deliverability - a MarketingSherpa study found that 4 out of 10 subscribers reported that they've marked emails as spam simply because they were irrelevant. Avoid this trap by segmenting your email list and sending relevant content. Not only is good email something would want to receive, it's also something someone expects to receive. That means that your subscriber has opted in and you are complying with CAN-SPAM requirements, including making it easy for your subscribers to opt out if they'd like to. However, sometimes simply complying with CAN-SPAM laws and sticking to your opt-in email list isn't enough. Maintaining timely and consistent communications ensures that your emails are expected. Be sure to communicate from the start of the relationship, as click through rates decrease over time as your subscriber age increases, and trigger emails based on your subscribers' behavior - those emails get more than double the click through rate compared to standard email messages. Good email is integrated - optimized for multiple marketing channels. Email marketing is most powerful when it's integrated with the rest of your marketing efforts across search, social media, mobile, and analytics. Of course, that integration is easier said than done - unless you have the tools that cut across each of those elements. That way you can optimize the pages you're promoting by email, using social media to expand the reach of your content beyond your email list, making sure the content displays well across mobile devices, and gathering data on how your email marketing - and all of your other marketing efforts - is performing. Email marketing focused on your goals. No more email marketing for the sake of doing email marketing. Every marketing activity should be tied to a goal - whether that goal is new leads, lead qualification, education, or even simply constant communication. Identifying what the goal is for each email helps you decide what that email should look like, and helps you measure whether or not it was successful. Lead generation + lead nurturing. 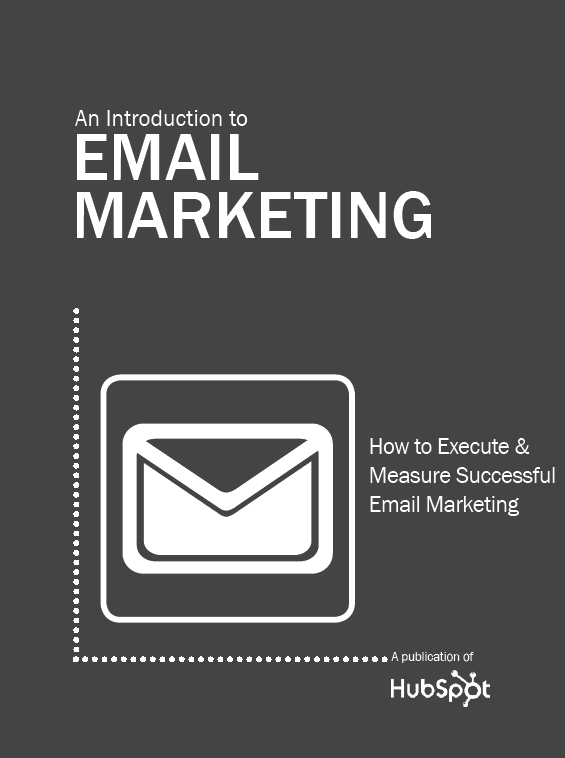 Email marketing is only as good as the quality of your recipient list. Each year there is a natural decay of contact database, as people change jobs or email addresses. Multiple sources agree that the average contact database churns at a rate of 25-30% per year (Read more). If you aren't replenishing your list with new, interested prospects each year, your email marketing will likely bottom out. So a key part of an effective email marketing strategy is top of the funnel lead generation. Culture of data and testing. The only way to keep improving your marketing is to push yourself and test new approaches. Using data to make decisions, and running tests to see which tactics yield the best results, is a key part of good email marketing. Testing consistently yields better results -- open rates, click through rates, unsubscribe rates -- and each time you send an email is an opportunity to test and improve. And the bigger the test the better - don't get hung up on one element, instead go for tests that will yield big results. Finally, tie your tests back to the goal of your email and measure the winning or losing variation against that measurable goal. See our Email Marketing Tools in Action!